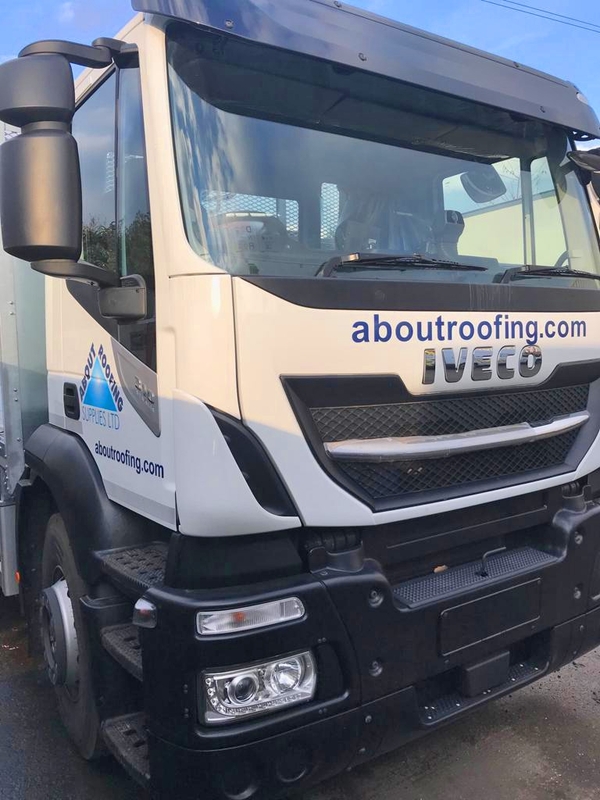 At About Roofing Supplies between our four branches and our website at aboutroofing.com, we receive and deliver literally tens of thousands of tons of roofing materials every year - in fact we estimate that on an average day we deliver over 200 tons of roof tiles alone! We are concious that we have an impact on the enviroment - the production of concrete (from which many roof tiles are made) is the largest single emitter of CO2 globally, roof tile manufacturing is the largest industrial user of gas (to fire the tiles in kilns), and of course the delivery lorries running to and from our depots emit exhaust fumes. Add onto that cardboard and plastic packaging, and our enviromental footprint is significant. We have been taking steps for many years to mitigate our impact where ever possible, and this post will update you about the steps that we are taking. We operate a large fleet of HGVs which are replaced every three years or sooner. Most of our current fleet are Euro 6 compliant, with the handful that are Euro 5 being due for replacement shortly. We are upgrading our company car fleet to the latest hybrids - two of our staff have just taken delivery of Kia Niro Petrol - Electric low emission hybrids. We generate waste cardboard from packaging, which we compress into bales, and is then collected for recycling. At any one time we have around a thousand pallets in stock or on the backs of lorries going out for delivery - each pallet is wrapped in plastic, which can't be reused once the pallet has been opened. 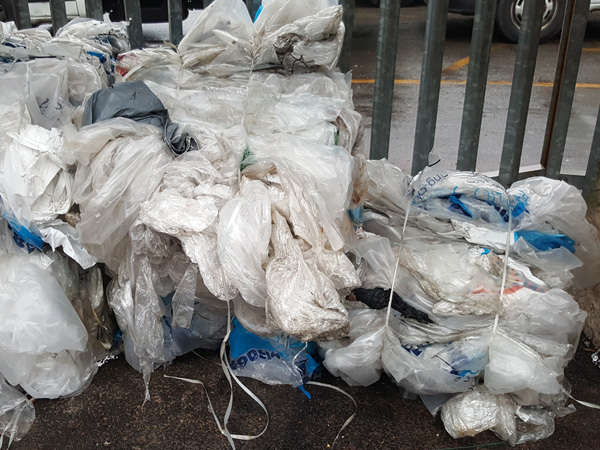 We recycle this plastic, which we then pay a specialist recycling contractor to take away, sort and recycle responsibly. Our commitment to recycling even extends to small details, such as drinks machines! Every day our customers enjoy free tea, coffee and hot chocolate from machines in our branches. Each drink was supplied in a single use plastic cup which was then thrown away. We have recently replaced these machines with new drinks machines that do not use single use cups. We have kitchens in our branches where our staff can make themselves hot drinks, cook food etc - just like at home, these activities generate packaging, however unlike at home, local authorities do not have schemes in place to collect and recycle this waste when it is generated commercially. Our solution? Rather than simply throwing it away, our staff members simply take it home and add it to their domestic recycling. Roof tiles & slates are supplied to us on pallets by the manufacturers, many of which we reuse for delivering to our customers. However, we are not always able to reuse these pallets as not all types of pallets are suitable for delivery by the cranes fiitted to our lorries, so these are either returned to the manufacturers for reuse by them or passed onto a pallet recycling company for reuse in other industries. 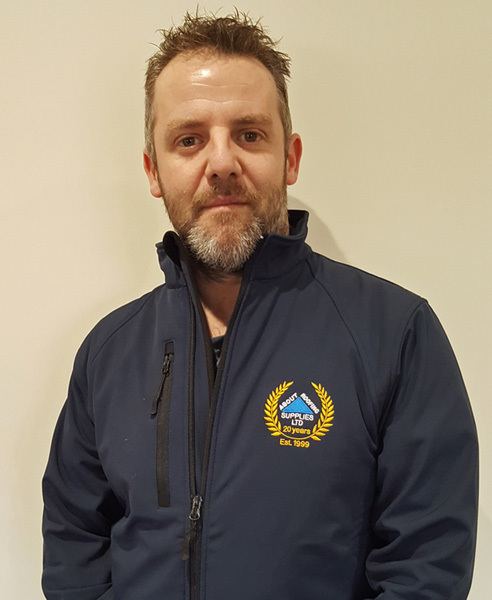 n this, the first of the special interviews that we will be sharing to celebrate our 20th year in business, we have spent some time with Mark who is the Branch Manager at our Dorking branch. At only 45 he has been with About Roofing Supplies for most of his working life! Q: About Roofing Supplies opened the doors of our branch at Esher in Surrey to customers in February 1999 – when did you start working for the company? It would have been in March or April that year. Q: And you were the first employee? Yes, I was the first member of staff apart from the Directors who started the company to begin with. Q: So you have been with the company for 20 years: What job did you start doing, and how have you got to where you are now? I was actually taken on to work part time for two days a week, as the company had not been open for long and no one was sure that there would be much for me to do. Initially I was helping in the yard and delivering goods on the small truck that we had then – by hand of course as we did not have a lorry with a crane to begin with. In my second week I worked for three days, and in my third week I went full time – it got very busy very quickly! After a few months I was put through my HGV training, and I then drove HGVs for the company for the next four years. I left briefly, before coming back to work with Garrett (Courtney our Sales Director) at our new, as it was then, Redhill branch. After a spell driving again, I was promoted to Assistant Manager of our Redhill branch, and then became Branch Manager of our Dorking branch three years ago. Q: What is it about the company that has made you stay for so long? I like that it is family run and still independent. I knew two of the Directors when we were all at school together, so it feels that I am working with the guys who own About Roofing rather than for them. It’s a family, which although it is a cliché is true in this case. I also like that you are valued as an individual – too many people work for companies where they are ‘just a number’. At About Roofing I matter……we all matter. Q: What, in your opinion, is the best thing about this company? Apart from my answers to the last question, I like the opportunities that I have been given to advance personally. As the company has evolved, I have been given the chance to do jobs that are different than the job that I was originally employed to do – not many companies do that these days. Q: What would you say is your proudest achievement at work? Becoming Branch Manager of our Dorking branch. I never dreamt when I started in the yard at our Esher branch as a young lad that one day I would be the manager of another branch. Q: What does this company mean to you? Everything really! There is nothing worse than waking up and dreading the working day ahead – I enjoy coming to work. Every day has its challenges, but I enjoy that – it’s never boring! 2019 is a very special year for us! We opened our doors to our Esher branch for the first time in February 1999 - 3 more branches, thousands of customers and tens of thousands of deliveries later we are celebrating our 20th anniversary. 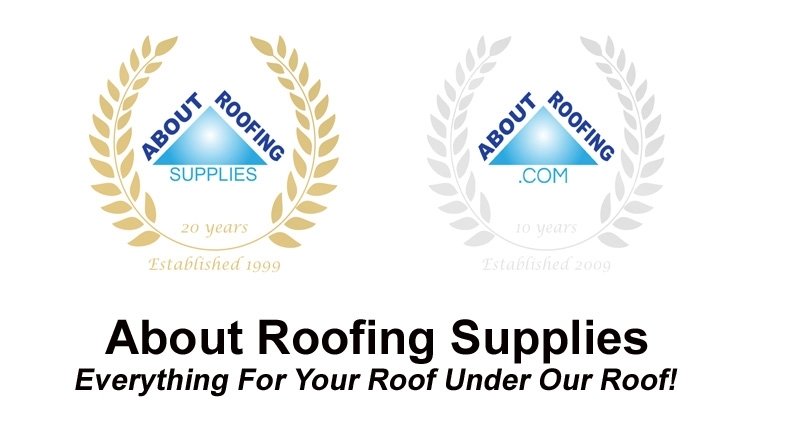 We started trading online in 2009 - amongst the first roofing and building materials suppliers to do so - so 2019 is also the 10th anniversary of aboutroofing.com. We will be featuring interviews with our three founding directors on this blog shortly - they still run the company, and their story of how they turned a dream into a successful business is remarkable. We will also be featuring an interview with our first ever employee - who is still with us - and our first ever customer - who is also still with us - as well as interviews with customers and staff over this special anniversary year. About Roofing Supplies is more than a 'just a company': To many of the staff and customers it is a family and a part of everyday life. We look forward to sharing some of the stories about who we are, how we got here and where we are going in the coming months! 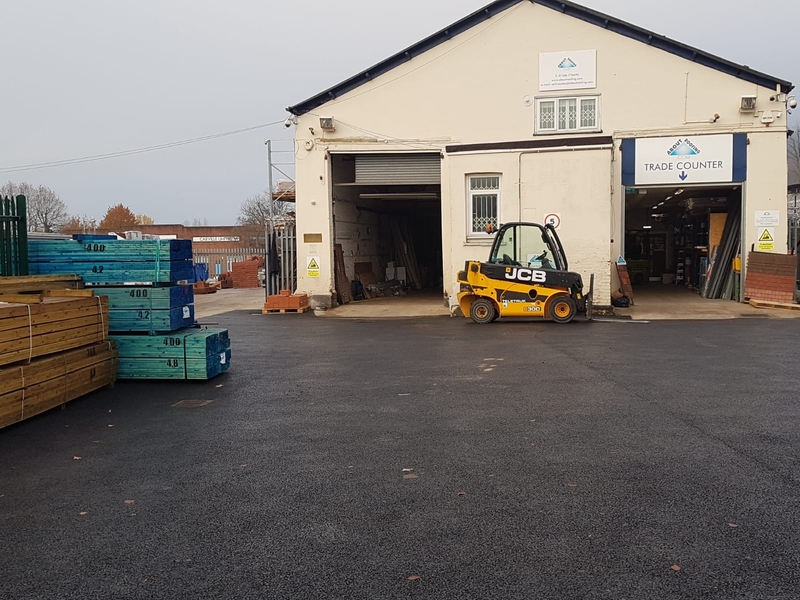 About Roofing Supplies Dorking branch has been undergoing improvement works over the last few months, the latest of which was the laying of a new heavy duty tarmac surface at the front of the branch, which will make loading and unloading our customers and suppliers much easier! We have also been increasing the range of stocks held at our Dorking branch recently - in particular we are carrying more roof tiles, roofing batten and building aggregates than ever! Why not pop in and meet the friendly Dorking branch team soon! The branch is open between 7.30am and 5pm Monday to Friday, and 8am to 12pm on Saturdays. We like lorries here at About Roofing Supplies. Lorries enable us to get orders out to our customers. And that keeps our customers happy. Happy customers = happy us! The lorry pictured here has just been sign written, had the crane fitted, and will soon be out and about delivering. With it's large capacity it will be extremely useful for large projects, and sites where space is not an issue, such as large housing developments. Why not place an order with us today, and you never know it might be this nice shiny new lorry that delivers it to you! When it comes to buying a new roof for your home there are many decisions to make, from the materials you choose to whether you need to employ roofing contractors to carry out the project for you. The choice of materials to use for your new roof is vast: Natural materials such as slate, traditional roof tiles manufactured from clay, to man made products such as GRP, bitumen or concrete roof tiles can all be used to create a roof, and each has its own merits and will have a different impact on the design and appearance of your home. Durability is extremely important. Installing a new roof is costly, even if you go for the cheapest options, therefore it is essential that you trust the roof will last a long time. Broadly clay and slate products will look better for longer and have a longer service life – for only a small price premium over concrete products. Price, of course, is a major factor when deciding which roofing materials to choose. Roofing materials vary greatly when it comes to cost, so make sure you know exactly how much you will be paying out for your new roof before you decide on the materials. Everyone has their own budget that the need to will work to, so make sure that you stick to that, and that there are no hidden costs you haven’t considered before you start work. Calculating costs before you begin means you don’t end up paying out more than you can afford. How durable are these materials? What are the installation costs such as labour and scaffolding? Your new roof should last a long time. However if unexpected, violent weather occurs you need to know that your roof will stand up to it. If you live in an area at high risk of adverse weather, take this into consideration when choosing your roofing materials. Will the end result look the way I want it to on my home? Of course you want to be pleased with the end result. Make sure you choose a material that complements the style of your home, and the buildings that surround it. There are links on our website from which free samples can be ordered – we encourage customers to take advantage of this service, particularly because colour reproduction on websites and in brochures is never 100% accurate, and there is no substitute for actually seeing and holding a physical roof tile or slate in the colour that you are interested in. Which supplier should I use? Make sure you do your research before selecting a supplier and go with a reputable, experienced supplier who understands the products and can offer help and advice. Whilst price is an important factor, make sure that your supplier has experienced staff and are authorized manufacturer’s distributors – many sellers give the impression on their websites of being stockists, but in reality simply pass the order onto an authorized distributor such as us. Do I need planning permission and what are the local regulations? Make sure that you know what the rules and regulations that apply to building a new roof on your home in your area are before you start. Find out whether you need planning permission and whether there are any local regulations in place that might restrict what you do, this means you won’t run into any trouble further down the line. You also need to take into consideration your existing roof, in particular the roof pitch, as this may mean that some materials are not suitable and can be ruled out in the first instance. To assist you with your choice we have broken down the pro’s and cons of the most common roof tile types. Concrete tiles are a popular choice. They are very durable and will last a long time. They are cost effective and quickly and easily laid. Some are manufactured to resemble more expensive clay tiles giving your home a similar look for less. Clay roof tiles are eco-friendly as they are made from natural materials. Clay is long-lasting and stylish design-wise, with a wide range of styles to choose from, and is seen as a very desirable feature – hence most “new build” properties have clay roof tiles as feature conscious buyers are actively seeking features such as these on modern, as well as traditional properties. The price differential between clay and concrete products has narrowed significantly in recent years meaning that clay roofing products can be purchased for a very similar price to concrete, however clay roof tiles look better, lasts longer and add value to the property many people feel that this is a wise and worthwhile investment. Cembrit tiles are man-made from fibre and cement. These tiles are popular due to their low price and high durability, and are easy to install. Cembrit tiles are among the most lightweight of all the tiles and therefore can be used on a frame that cannot withstand the greater weight of slate, concrete or clay tiles. Slate is a traditional roofing material and has been used for many centuries. It is made from natural materials and therefore eco friendly, with a grey or green irregular appearance. By carefully considering the the factors above and doing thorough research you should be able to make an informed choice about the type of roof that will work best for you and your home, and hopefully be delighted with the finished result. 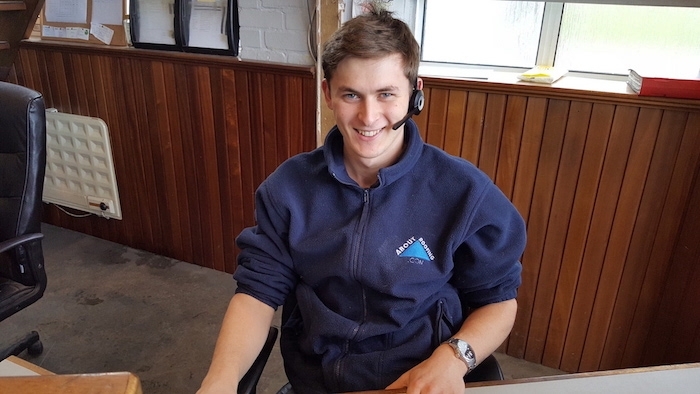 Tom joined us 3 years ago, fresh out of college, initially to start work in the yard. His likeable personality quickly shone through and it wasn’t long before he moved into a sales position at our Redhill Branch. At About Roofing Supplies, we encourage career progression and personal development and take great pride in allowing our team members to move into positions which build on their skills and showcase their strengths. Tom is a great example of this. 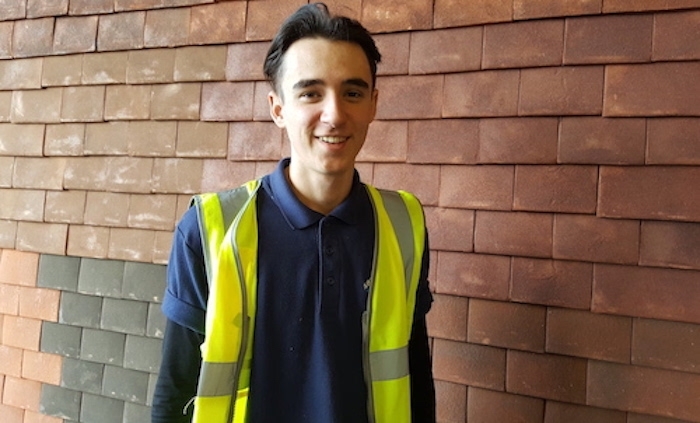 As a relatively new addition to the team, Morgan joined About Roofing last June just after completing his A-levels. Morgan, who is currently working within the sales team, will be eventually taken on formally as a member of the Redhill Sales Team. Greg is our Transport Manager and is responsible for coordinating our delivery fleet of 12 crane lorries and vans. He ensures that our customers get their complete orders on time, from roofing tiles and home and garden supplies to VELUX roof windows and roof vents. 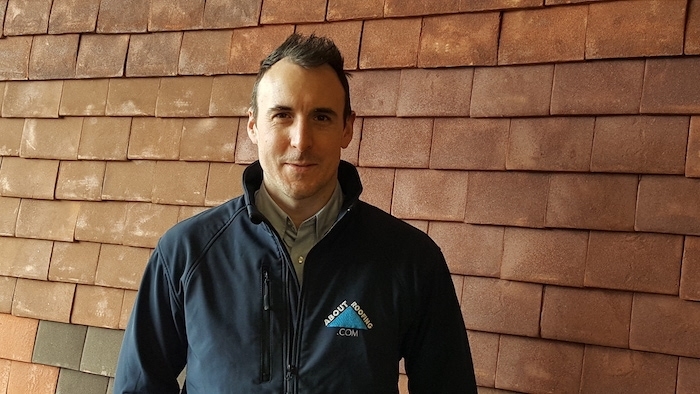 As a dedicated employee, Woody’s career with us has spanned the last 10 years, making him an expert across all About Roofing Supplies branches and services. Beginning his 10 year career in our Esher branch, Woody has worked on the sales teams in our East Grinstead and Dorking branches and is currently a key member of the Sales team at our Redhill branch where he is able to put his wide experience to excellent use. 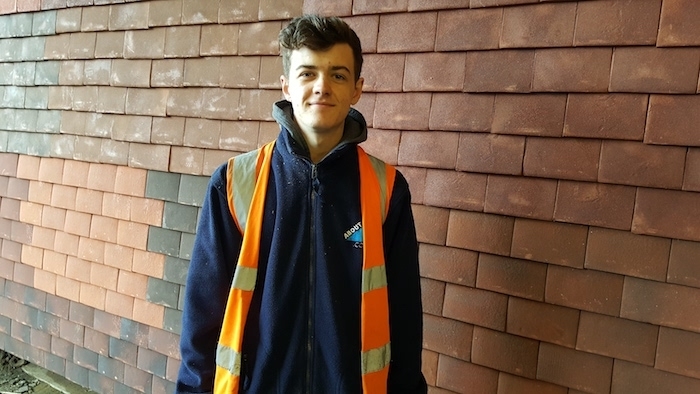 Our most recent addition to the About Roofing team is 16-year-old Ewan who joined us last June. In a few short months, Ewan has become a very knowledgeable and reliable employee who goes out of his way to provide the best customer-focused service. As a hard worker, Ewan works with us part-time alongside his studies as a joiner in college. Jason has been a dedicated employee at About Roofing Supplies for nearly 15 years. Initially, Jason started working in deliveries where he was responsible for driving a small van. His excellent driving skills and outgoing personality made him very popular with our customers. 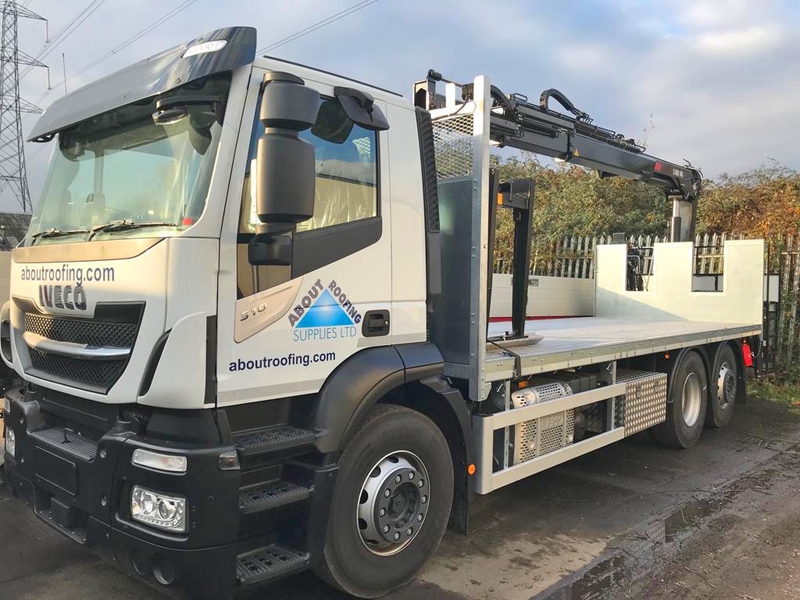 To further Jason’s career, we invested in HGV and crane training, which resulted in him delivering many hundreds of tons of roofing materials across the country, for over a decade! 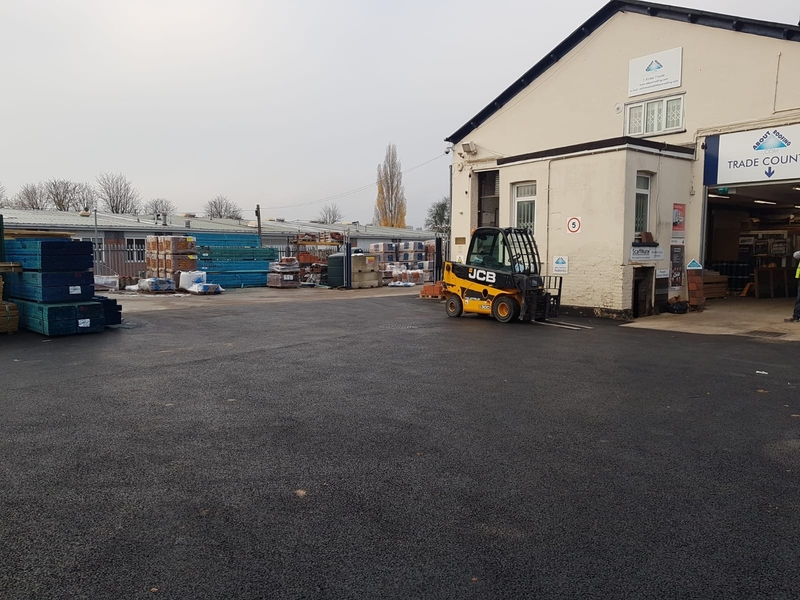 Recently About Roofing Supplies at Esher were approached by local NHS hospital, St Peter’s hospital in Chertsey, who were looking to purchase some roofing felt to re-cover the roof on their allotment shed that was leaking after the winter storms. The allotment is being used by the hospital to help in the treatment of patients as it has been proven that exercise outdoors – whether it be walking, or in this instance gardening – can be beneficial to the health of us all, particularly patients recovering from illnesses. 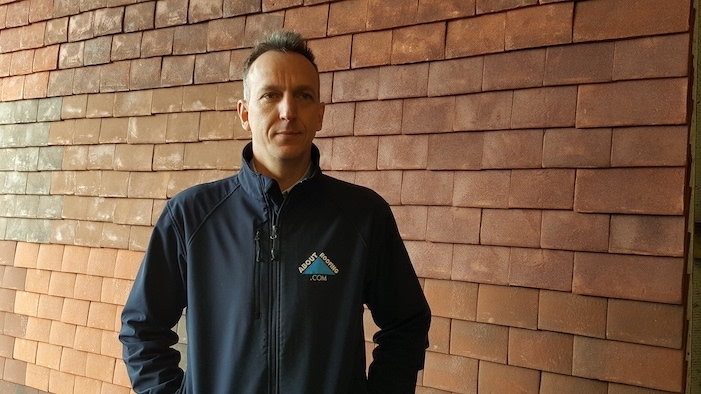 Conscious that the Health Service are under severe budgetary pressures, Luke Hossack, the About Roofing Supplies Esher Branch Manager provided the roofing felt for the shed free of charge. In response, St Peter’s hospital have written to the Esher branch thanking them, and said “….a massive thank you for the roofing felt that you kindly donated for our allotment shed. It means a great deal to our team that local businesses support what we are trying to achieve”. Luke, who has worked for About Roofing Supplies for over 9 years commented “everyone is aware that the NHS is under severe funding pressure. All of us benefit from the care of the hard working health care professionals within the NHS at some stage in our lives, every one of whom is an unsung hero. This was our opportunity to give something back and to say thank you from About Roofing Supplies on behalf of us all”. 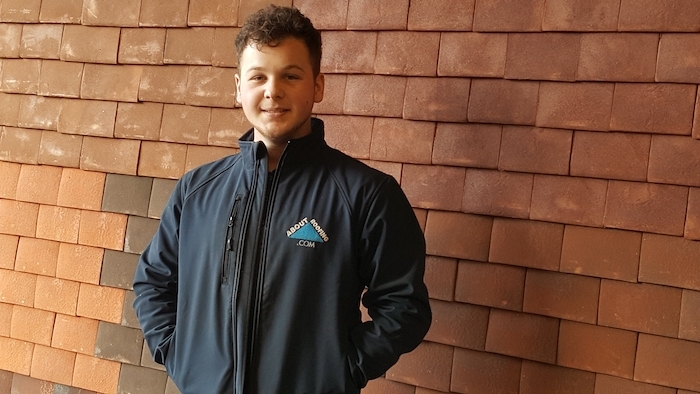 Introducing 19 year old Harrison, the newest member of the About Roofing Supplies team. 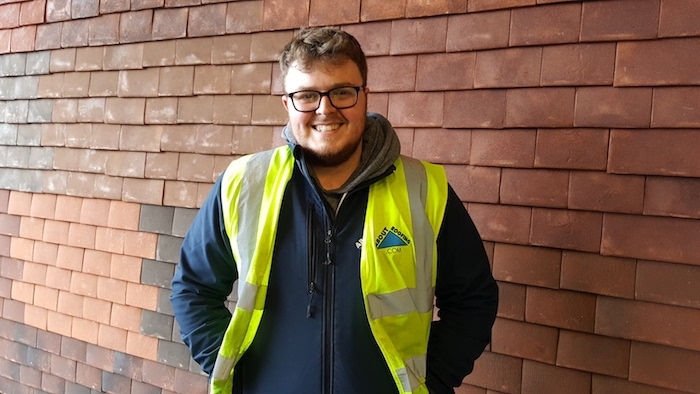 Harrison has joined us as a delivery driver, and this is his first job driving in the construction materials industry, so we look forward to helping him progress his career. Harrison’s energy and enthusiasm match the About Roofing customer values making him the perfect addition to the company. You are most likely to spot Harrison out and about delivering supplies, so if you see him why not say hello! Customers who are familiar with our company and staff will quickly recognise our long-standing and highly valued team member, Graham Chappell. Graham’s commitment to About Roofing Supplies has spanned the last 14 years, where he originally started out on the Trade Counter in our Esher branch. After a few years, he was promoted to a Sales Representative role, before becoming Branch Manager of our Redhill branch in 2009. 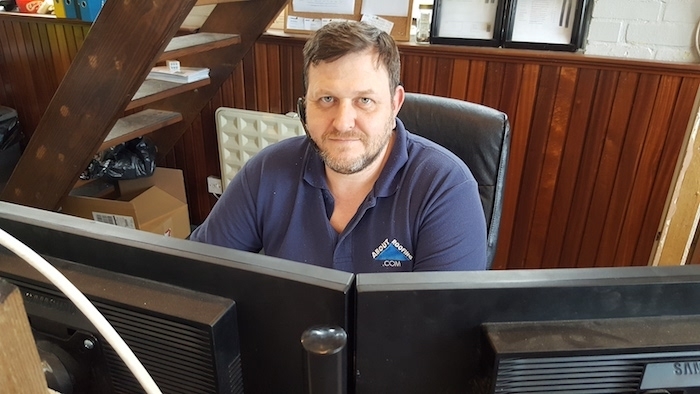 Graham strongly believes “people prefer dealing with people”, so you’ll often find him on the Redhill trade counter and telephones, or working closely with our customers on site. When Is It Best To Install A New Roof? Knowing when the best time is to install a new roof in your property can save you a significant amount of money. 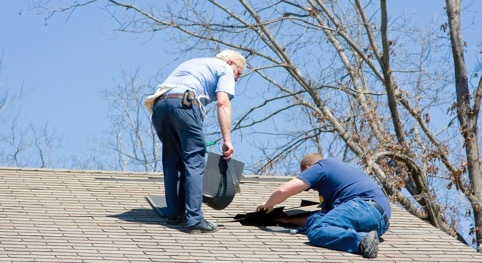 1) Your roof has reached the end of its useful life and needs replacing. Signs of this can be obvious such as leaking due to broken or missing roof tiles or slates, however, particularly in the case of concrete tiles (with a life span of around 60 years) the faded, bleached appearance is usually the most obvious sign that your roof needs replacing. In much the same way that you may decide to replace your car because it is rusty and starting to cost too much in maintenance and repairs, a bleached concrete tile roof, or one where the tiles are literally disintegrating is a sign that it is time to replace it. 2) Cosmetic reasons. You may simply not like the look of the tiles on your roof, or perhaps the exterior of the building has had some decorative improvement works carried out and a new roof would set the appearance off nicely. 3) Necessary roofing. You are adding an extension or new wing or outbuilding to your property, and it needs a roof. When is it best to have a new roof fitted? There is no “best” time as such! Roofing contractors tend to be booked well in advance so you will usually have to plan ahead by a few months – if you are looking to have a new roof fitted by a specialist contractor you may have to wait six months or more. Part of the reason is that because of its physically demanding nature, and dependence on weather, roofing as a trade is less attractive to those wishing to take up a career in the construction industry, and many new entrants decide to become electricians or plumbers instead, leading to a relative shortage of roofing contractors compared to many other building trades, which in turn keeps demand for their services high. Who should I employ to carry out the work? If you do not know any roofers personally, or have friends or contact who can recommend one, this can be a tricky decision. Firstly it is always wise to deal directly with specialist roofing contractors. Lots of other contractors in the general building or maintenance sectors carry out roofing works – and most are very good – however roofers are specialists, and well, you wouldn’t employ a car mechanic to service your motorcycle? Or a Doctor to give you a filling would you? Checkatrade can be an excellent source resource to identify roofing contractors as you can read written testimonies from local people in a similar position as yourself who can give you first hand feedback on the work carried out and the contractor’s overall professionalism and work ethic. Membership of a trade body such as the NHBC by the roofer is often a sign of a good roofer. Should I buy the materials or get the roofer to supply them? However, an increasingly popular approach is for the property owner to source the materials themselves. Once they have engaged the roofer, he can provide a list of what is needed, or the materials supplier can carry out an estimate from drawings or a site visit. Often, if the property owner is seeking a particular “look” for their property, or if they are working to a budget, or simply don’t know what is available, it is better for them to research and purchase the materials themselves so that they are in control of costs and decisions made. Is there a good or bad time to buy the materials? The short answer is no. Prices tend to remain fairly stable – roofing suppliers don’t have often have sales or special offers as such, although roofing tiles are priced according to quantity: The more that you buy the cheaper that they get! It is worth bearing in mind that traditionally, many roofing materials manufacturers apply price rises in the first month or two of each year, so you can usually save money by ordering and having your roof tiles or slates delivered before Christmas. Where is the best place to source roofing materials? Specialist roofing suppliers such as us is the answer! 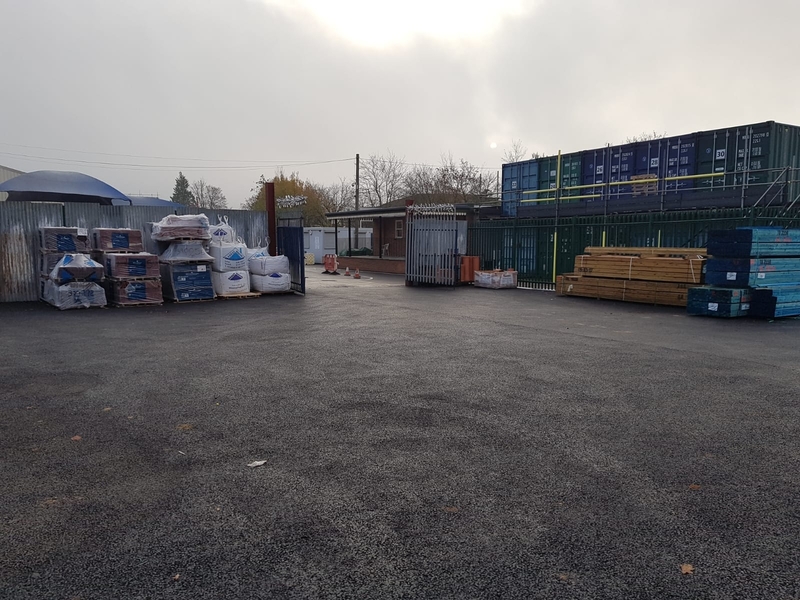 You would think that the large chains of builders merchants would be the place to go, but in fact these businesses specialize in other building materials and rarely keep, or even have direct access to roofing materials – they will usually source them via a specialist supplier such as us. 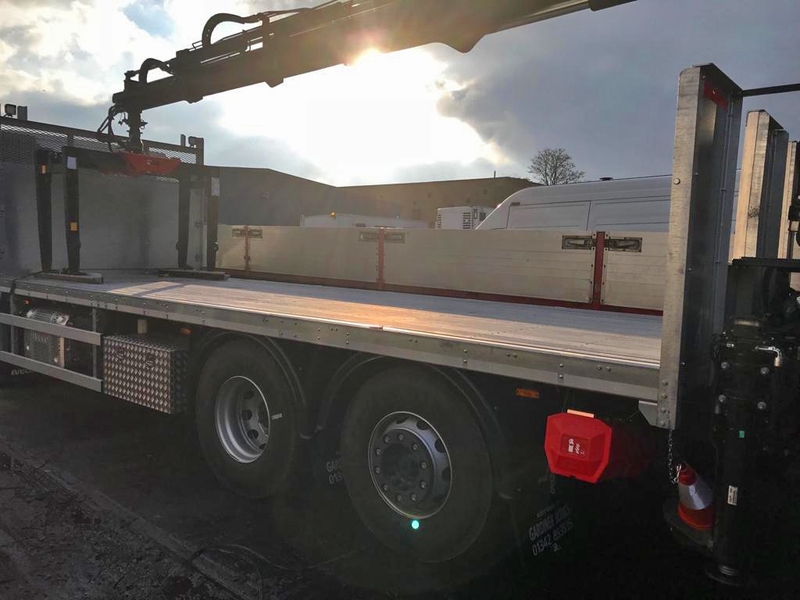 The reason for this is that the estimation of roofing materials is remarkably technical, and that you need specially equipped lorries to deliver them. Similar to the analogy used earlier in this article, you would not go to an optician for a haircut, so why not go to a roofing merchant for roof tiles? Roofing Materials suppliers know their products and pricing inside out. Traditionally staff are paid a flat wage so they have no incentive to sell you any particular brand or type of tile. This means that the advice, guidance and pricing that you receive will be impartial, and will simply be tailored to your requirements and will be the best advice under the circumstances. A specialist supplier will also have an understanding of legislation & Building Regulations applicable to the roofing sector so they will be in a position to give you technically correct advice. Do I Need Ventilation In My Roof? Welcome to our short guide to roof ventilation for properties that were build pre-war, post-war and after the mid-1990s. We are often asked by our customers, both trade and public, about whether there is a need for ventilation in their roofs. The answer is almost always YES! Almost everything that we do generates moisture in the home from cooking, bathing and showering to washing up, drying our clothes and even breathing! Over time this moisture naturally percolates up into the loft space, and this is where problems with a lack of ventilation in the roof occur. The moisture gets trapped in the roof space, leading to mould, damp and damage to items stored in the loft space – and more importantly to the roof structure itself, which can prove extremely costly to remedy. Often this situation goes unnoticed – however in certain circumstances, such as when the roof is insulated, or there is snow on the roof, or it is cold outside – the moisture condenses on surfaces and become more noticeable. By the time that this happens, you have a serious problem and steps need to be taken swiftly to address the situation. Even if you do not have condensation issues now, you should consider a pro-active approach and take steps to ventilate your roof sooner rather than later. Properties of this age were usually constructed with clay tiles laid straight onto the rafters. Often the tiles were handmade, or, at best, were manufactured in factories using techniques that resulted in the tiles fitting together rather loosely. Because of this the roof is naturally porous, so ventilation is rarely an issue. However, because there is no roofing felt (often called “sarking felt”) underneath the tiles, the loft space will be cold, dusty and windswept and not at all suitable for storage. The solution in this case is often dictated by the condition of the roof tiles, that by now, will often need replacing: When the roof is re-roofed, this is the ideal opportunity to replace the tiles with modern roof tiles or slates, with appropriate underfelt and ventilation meeting the current regulations such as BS5534 & BS5250. Properties of this age are those that are most likely to experience issues with condensation, damp & mould. Building practices during this period used modern roof tiles (which because of modern manufacturing processes fit together with fine tolerances, resulting in an almost airtight roof) usually with a bituminous non-vapour permeable underfelt. The problems with roofs constructed in this fashion are two-fold: The bituminous sarking underfelt, because it is non-breathable, creates a nearly airtight seal, and any moisture the does get past then struggles to get out past the tight fitting roof tiles resulting in the moisture effectively having nowhere to go, condensing and causing problems. The solution in this case is relatively inexpensive if the roof tiles are still in good condition. However, roofs built in the 1940s and 1950s often need replacing or will do soon, as concrete roof tiles have a shorter life span than clay tiles and most concrete tiles of this age will be crumbling and well past their best – particularly in high pollution areas such as cities or industrial areas. If the roof does need re-roofing, then this will be the ideal opportunity to construct the roof to modern regulations such as BS5534 and BS5250, using BBA approved breathable membrane under the tiles, ventilated eaves (using fascia vents) and ventilation near the top of the roof (using either vent tiles and / or dry fix vent kits at the ridge). If the roof tiles do not need replacing then vent tiles can be installed into the roof replacing existing roof tiles, ideally coupled with ventilation at the eaves in the form of soffit or fascia vents. Properties built in this period would have almost certainly been built with breathable membrane under the tiles: At the time this was seen as a simple solution to ventilation & condensation issues. However, during the cold winters of 2010 -2011, 2011-2012 and 2012 – 2013, many people discovered to their horror that because of the covering of snow on their roofs or the cold weather outside that the breathable membrane was being overwhelmed and they were experiencing issues with damp in the roof space that they had not anticipated. Again, the remedy is the addition of vent tiles near the apex and ventilation at the eaves – many homeowners and contractors have routinely fitted them believing that the modest costs incurred are far outweighed by the benefits of peace of mind. If your loft has been insulated, or even converted into living space, then this can affect the type and amount of ventilation that you will need, however the principles are broadly the same in that the roof space will need ventilating to ensure the movement of air. In this article we have made reference to Building Regulations, such as BS5250 the Code of practice for control of condensation in buildings and BS5534 Slating and tiling for pitched roofs and vertical cladding code of practice. These are mandatory regulations that apply in England and Wales, and are issued by the Department for Communities and Local Government, and are administrated by Local Authority Planning Departments. Similar regulations apply in Scotland and Northern Ireland, which are overseen by the relevant national authorities. Building Regulations are law, and must be complied with for all new build projects, and most refurbishment projects. Because they have been carefully thought out, and are seen as “best practice” in most cases they are followed, even where the law does not make them mandatory simply because it is very prudent to do so! Compliance with the Regulations is the responsibility of the designer of the building, the owner of the building and the building contractor - often this is the same person in the case of self-build properties, however it is worth noting that the responsibility falls on multiple parties rather than just being the responsibility of, for example, the builder alone. Of course if you are the house owner and the house was not built by you, then the responsibility is yours!